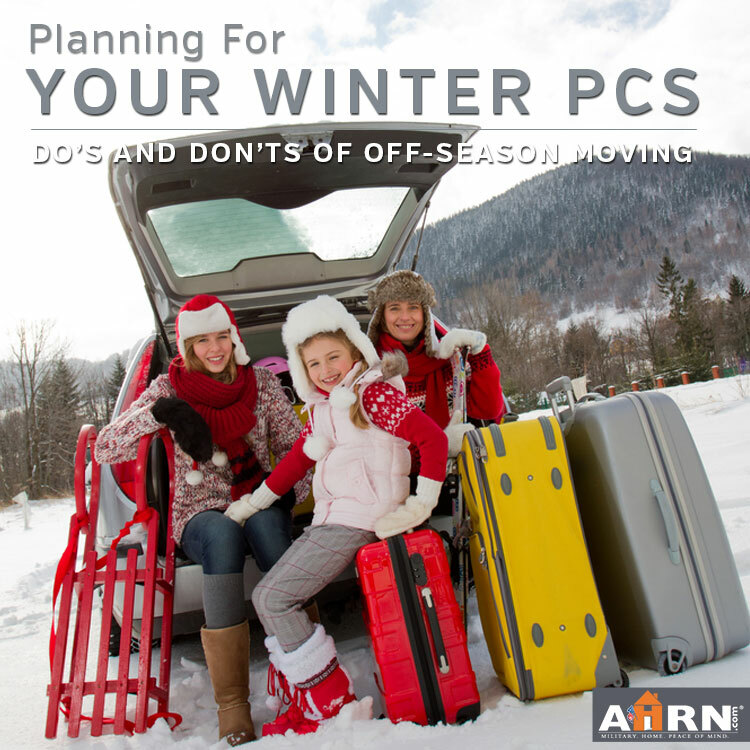 If your holiday plans include packing up and a PCS, it is time to start planning. Less competition for move dates and less crowded hotels are often balanced by winter weather and transferring schools. We have moved during the summer months six of my seven military moves! That one winter move was enough to teach us plenty of lessons and appreciate a warm weather pack-out! The cross country trek from JBLM in Washington to Fort Leonard Wood, Missouri involved snow covered roads, New Year’s Eve traffic, and a longer than planned hotel stay. Learn from my experience and consider the following lessons when planning your winter PCS. Mid-year school switches can be a major source of stress during an off season PCS. Moving away from friends, being the new kid (again), matching up classes and eligibility across state lines start the worrying long before the boxes are packed. Get prepared with Operation Dandelion Kid’s K-6 Education binder for the tools, resources and knowledge you need to effectively communicate your child’s needs during a PCS. If you are moving with a high school student, especially a Senior, it may require more creative problem solving to satisfy graduation requirements. Military spouse blog World Traveling Military Family covers what they went through to get their Senior off to college on time after a mid year PCS to Germany. During pack out, be sure that your movers put down protective plastic to guard against tracking snow or mud into your home right before your clearing clean up. It is your responsibility to keep your sidewalks and loading area in a safe condition for the movers (ie: free of ice) so you’ll want to make sure supplies for that are set aside if necessary. One of the unique challenges of military life is that we frequently move to areas of the country that we know very little about. In your PCS research, get some feedback on what the weather will be like at your next duty station. If you are moving from Ft Bliss to Ft Drum or Robins AFB to Mountain Home AFB you will want to plan for a significantly heavier winter wardrobe. Plan ahead by keeping some clothing suitable for your new home with you instead of packing it with your household goods. Winter weather can also impact your travel plans if you are driving to your next duty station. During our move from JBLM to Leonard Wood, the weather was not severe at either duty station but our route through Utah took us directly through snowy mountain passes. We ended up having to stop several hours earlier than planned because of the deteriorating condition of the road. Fortunately, a freak snowstorm in Washington just before we left meant that we had windshield scrapers and other winter auto supplies with us already. The choice to do a DITY move comes down to your preferences and individual situation. During the winter, there are some additional questions you should ask yourself. If you are doing a full DITY, keep in mind that winter weather could complicate loading or unloading your household goods. Both wet and cold can damage electronics, furniture and more. Additionally, icy roads present a danger in any vehicle. A fully loaded moving truck that you are unfamiliar with on icy roads could be more stress than you want to deal with mid-move. Whether you DITY or go with a government move, it is essential that you pay special attention to any of your belongings that would be damaged by extreme cold or condensation. Books, art work, fragile glass items and some fabrics could all be vulnerable. Moving trucks are not climate controlled, and freezing temperatures, especially if the truck will be going through multiple weather zones, could easily result in damage. During your pre-inspection with the moving company, specify with the agent how they address this and point out which items they will need to pack to avoid temperature-related damage. On the National Military Family Association’s blog, Leanna Brown points out “there is so much that goes on during a PCS that it is often easy to overlook, our children may be having just as much fear and anxiety about the move as we are.” Take a moment to consider how best to reassure and build excitement! Financially, there are two sides to the coin when it comes to winter PCSing. If you are combining your PCS with holiday travel, you may find hotel costs to be higher than normal and reservations difficult to find. You’ll face the same difficulty air travel. “Off-season PCSing is beneficial financially, if you want to get a house, because the winter is a hard time to sell. So sellers may be willing to negotiate lower than usual prices so they can make the sale quickly ” recommends Malori Mayor, author of Living A Warrior Life. Savvy military families can translate their winter PCS into more home for the money than they would have during the high turnover summer months. 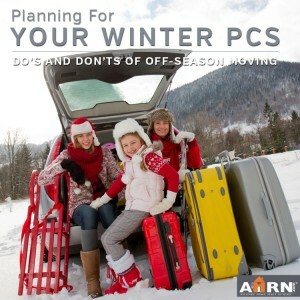 With all the ways winter weather can impact your move, prepare a PCS back-up plan. At each end, account for a longer than anticipated hotel stay. Be prepared to get your household goods later. During our winter PCS to Ft Leonard Wood, an ice storm delayed delivery of our things for almost a week as the truck couldn’t safely be driven down our street. As with any road trip, let some one know your planned route and check in daily to update progress. Keep contact information for your emergency roadside assistance in a convenient place like your center console — or program it into your phone. The last thing you need is to be stuck in freezing temperatures! Have you experienced a winter PCS? How was it different? Oh, I remember having to move my family to a new home during the snowy season. It's been about a month now that we recently moved and around that time it was snowing a lot. Both my wife and I were worried about the removalists getting lost because of the blizzard that was blinding almost everybody on the highway near Aurora, Colorado. Winter moves definitely present their own challenges!